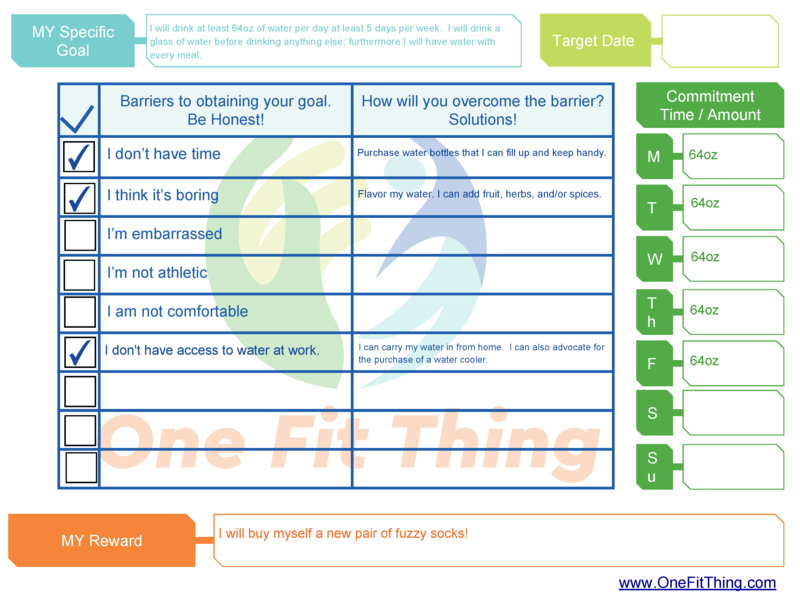 Use this worksheet to think about what might prevent you from reaching your goal and how you will REMOVE or OVERCOME the barrier. 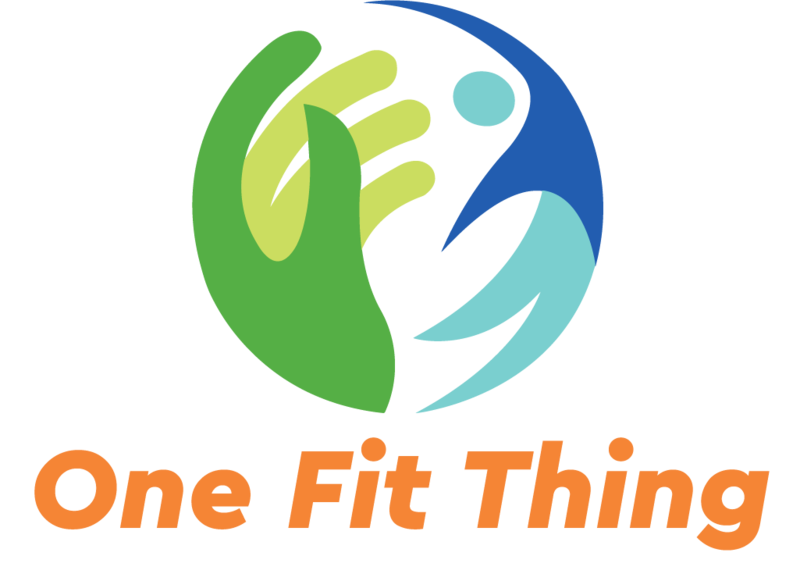 I found an intersting article that may help you from the Mayo Clinic Barriers to fitness: Overcoming common challenges. Use this article if you are unsure of your barriers or how to overcome them. Write the goal above in the Light Blue My Specific Goal box. I recommend a target of about a month. If you are starting mid-way through a month then go for the remainder of this month + all of the next month. Mark this date in the Light Green Target Date box. How will I/you overcome these barriers? (TIME) Purchase water bottles that you can fill at one time and keep handy. When you need water it will be ready. (ACCESS) If you don’t have access to water at work you will need to carry it in. Fill a few water bottles in to morning to take with you. You may also considering advocating for the purchase of a water cooler. Put these solutions in the Solutions column of the table. Pick the 5 days you plan to make your goal and put 64 ounces in the Green Box for the selected days. If you miss your mark on the indicated day you can decide if you want to pick one of the free days to meet the challenge (or miss your goal for the week). Too much water is bad for you so don’t try to make up a missed day by drinking twice as much the next day. This is the reward you will give yourself when you have successfully completed the goal. This is very individual. What do you want? Maybe an infuser that makes flavored water? Maybe new fuzzy socks? Maybe dinner at your favorite restaurant? Make this ALL about you!